Many people think that sushi is a Japanese raw fish dish. However, sushi doesn’t always contain raw fish. In fact, you can eat a whole meal in a sushi restaurant that consists of entirely cooked items. Sushi is rice dressed with vinegar. The rice is served with bits of various kinds of fish, vegetables, sauces, fish eggs and other ingredients. Some is raw; some is not. For example, eel is always served cooked. The imitation crab meat in a California roll is also cooked. Squid, clams and shrimp are also typically served cooked in a sushi restaurant. When pieces of raw fish are served without rice, the dish is called sashimi. 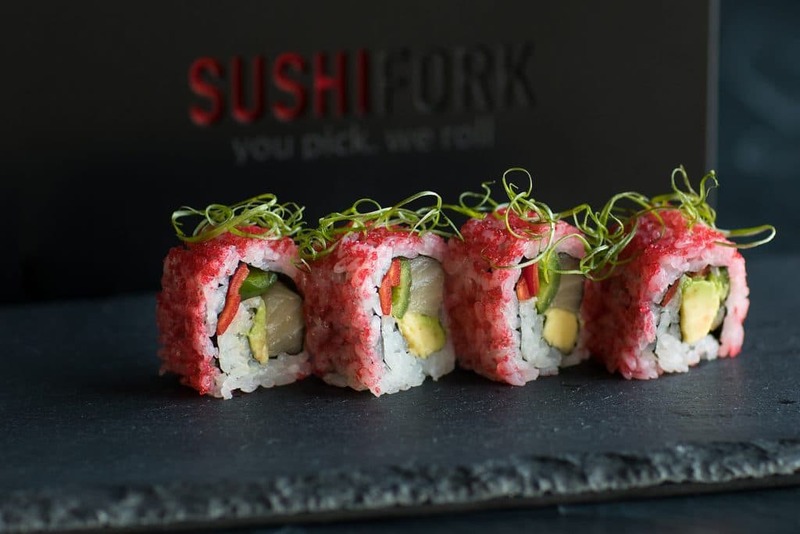 In the United States, it’s safe to eat raw fish in a sushi restaurant because the fish must be frozen for a period of time before it is served. That is the law. The freezing process kills any parasites that might be present. Other countries may or may not have this freezing requirement, so you might want to be cautious when eating any raw fish while you are abroad. While it’s commonly served there, sushi didn’t originate in Japan. It came to Japan from Southeast Asia and China around the eighth century. 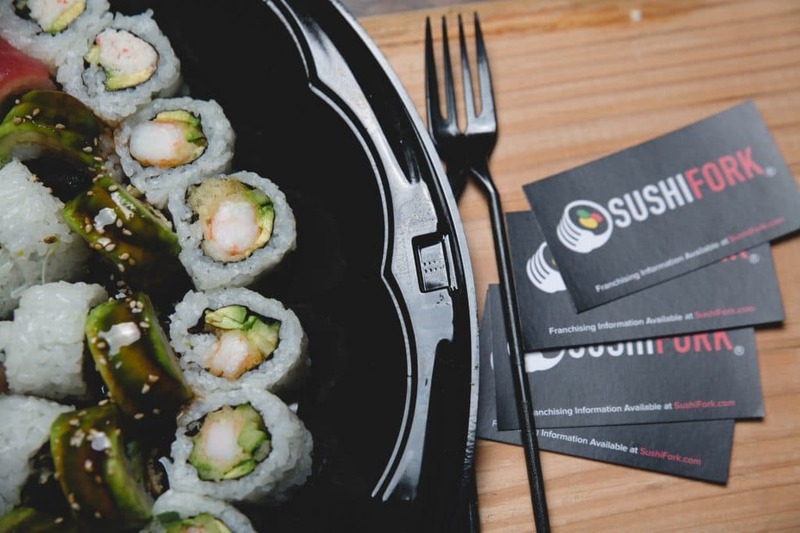 At that time, sushi was fermented fish with sour rice, which evolved over the centuries to become the modern sushi as we know it today. 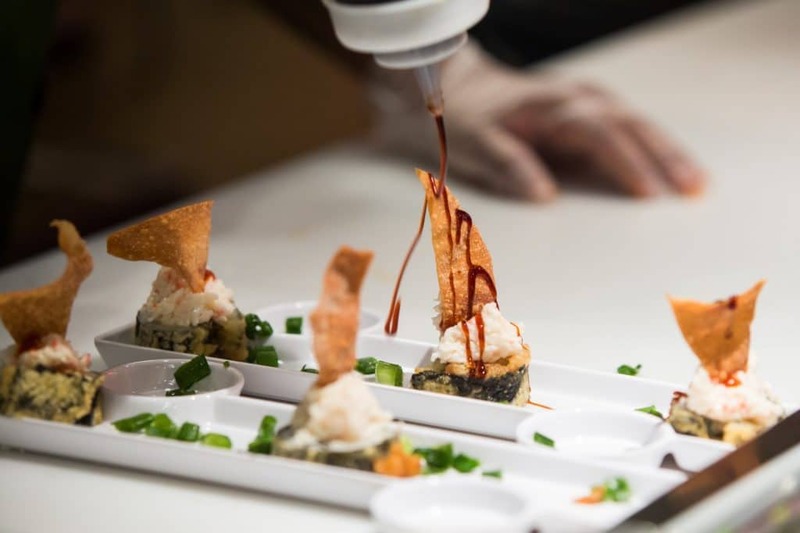 It typically takes a Japanese sushi chef about 10 years to become an expert in the craft. There is a type of sashimi called fugu. It’s made from the pufferfish, which contains a deadly poison in some parts of its body. It takes an incredibly small amount of pufferfish toxin to kill. Japanese chefs certified to serve fugu undergo extremely tough training to learn how to safely prepare it. Before they can be certified, chefs must eat their own prepared fugu. For those vegetarians who would like to try sushi, there is kappa maki, or cucumber rolls. It’s sushi rice and pieces of cucumber covered in nori, or seaweed, to form a roll. It’s quite popular in a sushi restaurant. Sushi is often served with a green, spicy paste-like condiment called wasabi. Traditionally, wasabi is made from the root of a Japanese plant called wasabia japonica. However, in the United States, the wasabi served is sometimes not made from the Japanese root. It’s made from horseradish and mustard powder instead. It’s then dyed a lime green to resemble authentic wasabi. 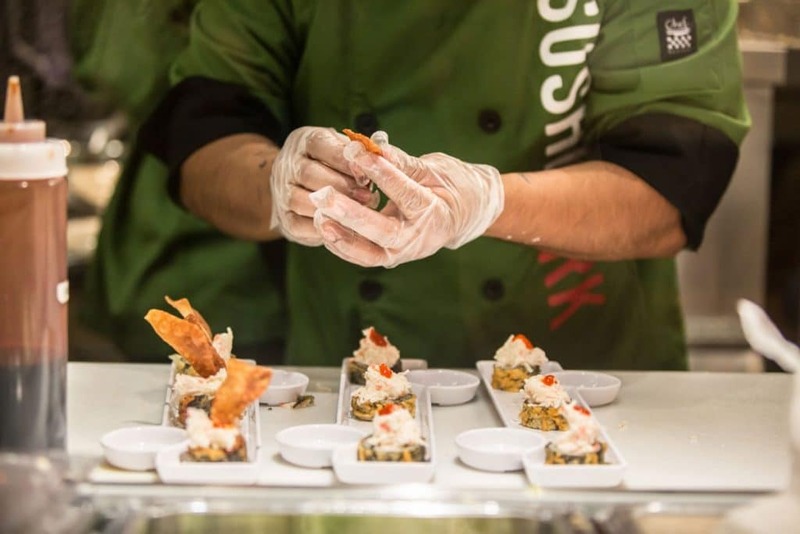 The average medium-priced sushi restaurant is unlikely to be serving real wasabi. If they do, they may charge extra for it. It’s fine to eat sushi with your fingers in a sushi restaurant. Sushi is a healthy food. It’s relatively low in calories, too. The fish provides lots of Omega-3 fatty acids, which can be hard to get in a typical American diet. Nori, or seaweed, is rich in iodine and vitamin A. People who don’t live near a ocean coastline can become deficient in iodine unless they consume iodized salt or take the mineral as a supplement. Besides its health value, in eighth century Japan, sushi was so valuable that residents used it as a form of currency. They sometimes paid their taxes with it. There are six kinds of sushi you will typically see in a sushi restaurant. Chirashizushi is a bowl of rice topped with various kinds of fish and other items. Inarizushi doesn’t contain fish. Typically, it’s a sweet dish made of fried tofu with sugar and soy sauce. Makizushi is rolled sushi. It’s rice with fish, vegetables and other ingredients rolled in a sheet of seaweed. Narezushi is the closest to the original sushi served in the eighth century. It’s a roll of rice and fermented fish. Only the fish is eaten; the rice is tossed away. Nigirizushi is rice pressed by hand and then covered with fish, vegetables or tofu. Oshizushi is also called boxed or pressed sushi. It’s a layered dish cut into various shapes like triangles or squares. The next time you see a sushi restaurant in Tulsa and hesitate to try it, think again. It’s healthy, and you can choose cooked items if you don’t want to try anything raw at first. After all, there must be some reason why it’s so popular. Why not find out the reason for yourself?